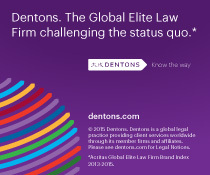 The following state legislative speed read comes by way of Dentons50 partner firm the Connecticut Group. Dannel Malloy vetoed his first bill from the 2018 regular session Friday, blocking a proposal that would have prevented he and future governors from making cuts to education-cost sharing (“ECS”) grants as a means of balancing budget shortfalls. Malloy has used his ECS rescission powers in past years to reduce funding to some of the wealthiest municipalities in the state, which he argues can afford to absorb the cuts. The bill–H.B. 5121, An Act Prohibiting the Executive Branch from Making Rescissions Or Other Reductions To The Education Cost Sharing Grant During The Fiscal Year–passed the Senate unanimously and received just 32 nay votes in the House, virtually ensuring that the governor’s veto will be overridden if the legislature deems it worthy to do so.